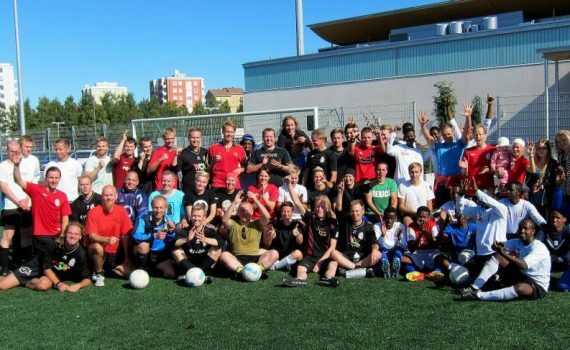 JS Herculeksen kausi 2015 pähkinänkuoressa! Herkku-Papat went to the clash with the table-topping Haupa3 on the back of the first defeat of the season, and only two days of recovery in between, and with managerial wizard Vesa Rautio deciding to pursue for personal academic glory rather than conjuring up a winning tactics. So the signs were definitely not the best of their kind, for what ultimately proved to be the worst performance of the season, and even had the on-looking top scorer of the first team, Tommi Päkkilä, shaking head in disbelief. Fourth game of the season for ever lithe and agile bunch of Herkku-Papat's faced off with KTU from Kello. Injury worries of the first team JS Hercules also put a shadow over the Pappa line-up. Mighty twelwe who started the game fought well, but KTU took the points with undeserved penalty kick 0-1. JS Hercules reserve team Herkku-Papat took their first victory of the season after two even games. Hosts FC Suola got robbed by Papat with 1-3 (0-2). Papat took control of the game right from the start. During the first 10 minutes FC Suola hardly made it out from their own half. But ackwardly enough, it was the home side who was closer opening the dead lock. FC Suola had a short spell of possession and their second corner of the game almost paid off. Herkku-Papat, JS Hercules reserve team, draw again in the 5th division. Two easy scoring chances were give to the opposing team Pattijoen Tempaus which didn't hesitate to use them. Papat eventually managed to score a couple two to make the score even.